We take care of the details, so that you can focus on building your growing business. Most business owners have more to-dos than they can manage. At VaVa, we take these to-dos off of your hands and give you the time and freedom to focus on growing your business and doing what you do best! VaVa is a critical asset to the NTEN team’s ability to stay effective and efficient. They make managing the huge number of calls and meetings with our partners and community members simple, and even help manage our constant travel. We are so glad to have the VaVa team working with us! I am thrilled with the whole VaVa Virtual experience. I was afraid to change things up and trust in people I didn’t know and couldn’t see, but I’m beyond happy with the results. I only wish I had done it years ago. Andrea is amazing; she’s much better than my full-time in house assistants have ever been. She's smart, detail-oriented and ALWAYS available. I’m not exactly sure when or IF she sleeps but it works wonderfully for me. Thank you so much. I’ve recommended you to other folks and will continue to do so. Your service is amazing. I utilize VaVa Virtual Assistants for my daily calendar management. I was hesitant to delegate my highly active calendar to a virtual-based assistant at first, but quickly found that I was able to rely on my assistant to effectively set, organize and monitor my schedule. 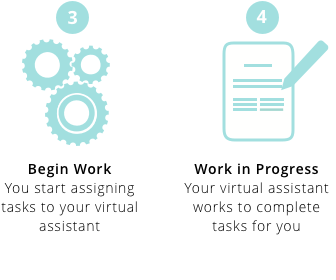 My VaVa Virtual assistant has allowed me to use my time more efficiently. I truly appreciate VaVa! I recommend and love VaVa Virtual Assistants! Are you trying to grow your business to the next level, but don't know how? Do you find you don't have enough time in the day? Do you have more to-do’s than you can get done? Check out VaVa Virtual Assistants. This team is tech-savvy, professional, trustworthy, responsible, and will help you Get It Done! VaVa Virtual is an affordable way to help you take your business to the next level. You think you can't afford a full-time employee but you CAN NOT afford not to check out how VaVa Virtual can save you time, money, and grow your biz! Thanks so much VaVa for help with my business marketing plans. You are the best and very reasonable in price. You get a lot for your money with these ladies. Kudos to you for great service and your hard work. I will be recommending your services to every business that I come in contact with. 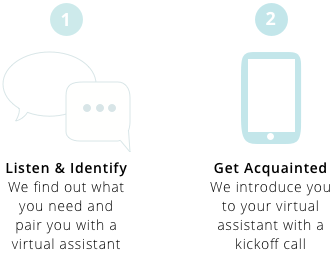 I am thrilled with the quality of work and the expertise VaVa Virtual Assistants brings to the table. Not only do they do an exceptional job on my newsletters, social media, blogs, etc., but they always do it so promptly and professionally. I can count on them to always go over and above for me and my clients and am thrilled to have them. Also, they are so gifted when it comes to their design work. Their results are exactly what I envision, only better. They are absolutely a joy to work with and always make me feel like I’m the only client. It’s nice to be able to have someone you can depend on. Simply the best! I hired VaVa Virtual Assistants to create a website for my company and they provided fantastic service. I had a general idea of what I wanted and she took that idea and created something much better than I had envisioned. They provided updates, asked for feedback and delivered in a very timely manner. I look forward to working with them on future projects. I would recommend that any solo entrepreneur or freelance consultant utilize VaVa Virtual Assistants for their research, editing, and operations capabilities. I had a very specific need for market research and the executive team was able to quickly structure a scope of work that would fall within in my financial and time constraints. VaVa was very receptive and flexible to my ever-changing work needs. I wouldn't be able to create impactful marketing and sales materials if it weren't for the support of VaVa. I've been working with the Team at VaVa for over a year and they have helped me get the most out of my days by taking care of the things I never seem to be able to get to. It takes them :15 minutes to do the things that take me an hour to complete. They do my travel, calendar scheduling, expense reports and gifting for clients. Lauren and VaVa Virtual did amazing work for our insurance agency, Thomas and Grushon. We gave her a list of what we hoped to see in our website and she had the vision to make it a reality. She and her team were easy to reach, and produced a high-quality product in a timely manner. We will use them again for other projects and will definitely recommend their team to our business associates. Working with Vava has been amazing! They are knowledgeable, effective, and efficient and I know my business affairs are in great hands. They have completely captured my dream company voice and are continuously helping me grow my company in ways I hadn't thought of. I look forward to continue working with them! As a small business owner, I am responsible for all aspects of running my business. 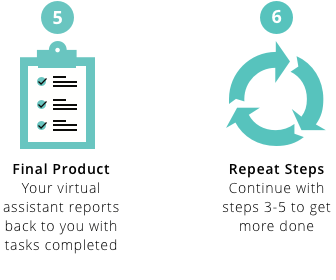 When our VaVa Virtual Assistant started, I was able to delegate many of the special projects and reoccurring administrative tasks that kept me from doing sales calls and serving my clients. With my time freed up more, I have already been able to generate more revenue from bringing on new clients and expanding my offerings. My clients have also appreciated the additional time I make for them and the timeliness of the reports my VA now assists me in generating for clients. I appreciate the growth I have been able to see in just the few months of bringing a VA on my team. I have also started asking for more hours to grow even more. Thanks VaVa Virtual Assistants. You are making my job easier and more enjoyable doing the tasks I love most. VaVa did amazing work with my project and I am just working on the next steps for my business as this project completes. I will be referring the marketing work your team has done to my peers. You all made my project smoother for launching and I truly appreciate it! We would love to talk to you about how VaVa can increase your business’ productivity.